While external battery packs have become almost commoditized, every so often we get a new one in that piques our interest, and in this case it’s ZMI’s new PowerPack 20000, a portable USB PD pack that provides a staggering 20,000 mAh of juice in a compact size along with support for quick charging in both directions and can even double as a USB 2.0 hub. 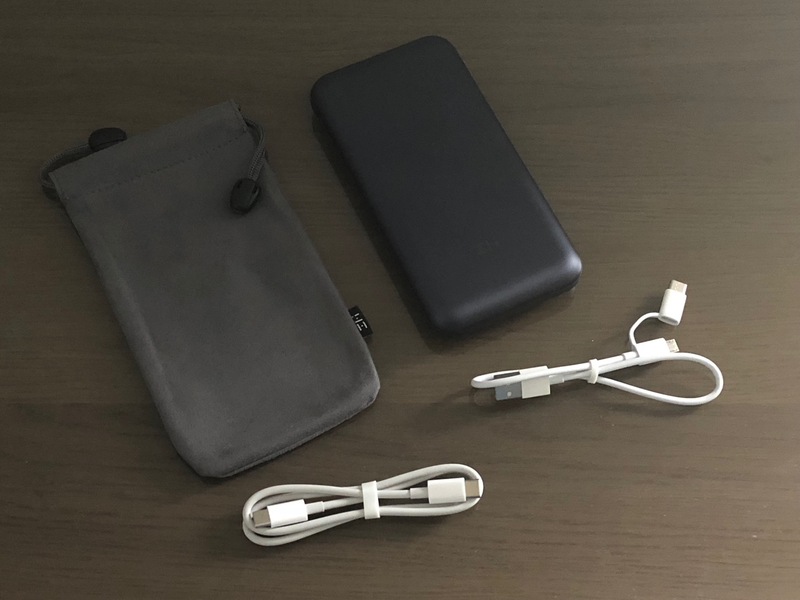 In the package, ZMI has thoughtfully included a storage pouch for the battery pack, along with a USB-C to USB-C cable for recharging, and a combo Micro-USB and USB-C to USB-A cable. There’s no Lightning cable here, so you’ll need to supply your own if you want to use it with your iPhone or iPad. The USB-C to USB-C charging cable is also only 20 inches in length, which we felt was a little on the short side — it’s reasonable for recharging a MacBook, but makes things a little bit awkward when recharging the power pack itself from a standard AC wall outlet. There’s also no power adapter included, so you’ll need to supply your own USB-C power adapter to recharge the pack, although if you’re using one of the newer USB-C MacBook models, the standard Apple USB-C adapter will work. Although the 20,000 mAh capacity of PowerPack 20000 is impressive, it’s certainly not the first portable battery to pack in that capacity. However, PowerPack 20000 distinguishes itself from many others by offering support for all of the standard fast charge protocols — USB PD 2.0, QC 3.0, BC 1.2 — in both directions. Meaning that you can rapidly charge up an iPhone 8, iPhone 8 Plus, or iPhone X at top speed (via a USB-C to Lightning cable) and power a MacBook Pro, but also that the pack itself will get back up to a full charge in under four hours. 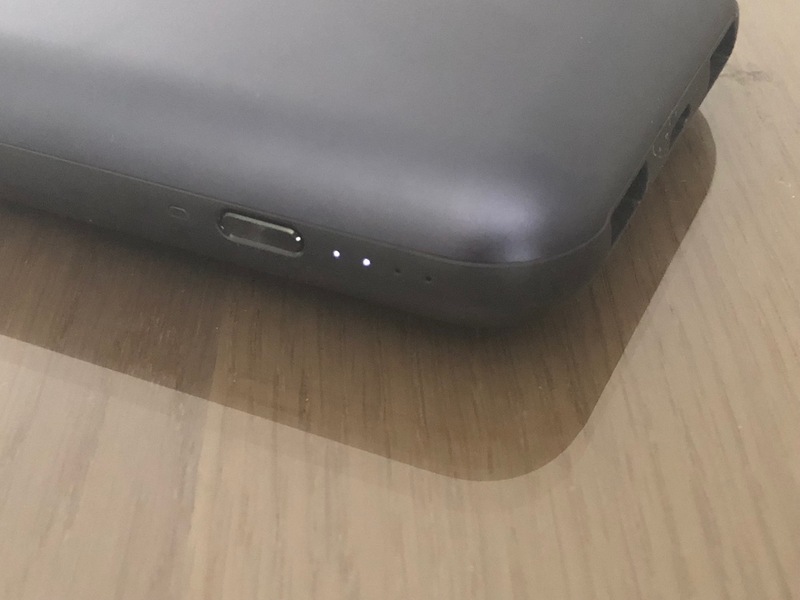 In addition, the two USB-A ports provide full 2.4-amp charging output, so you’ll get maximum charging speed on older iOS devices as well, although the pack can only put out 45 watts through all three ports, so charging speeds will be reduced when plugging in three devices; priority appears to given to the USB-C port in this case. 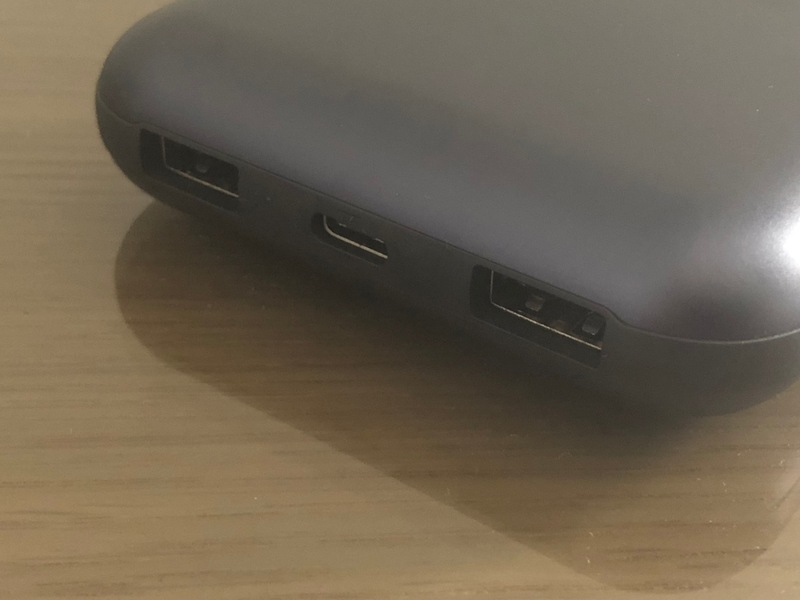 An added bonus of ZMI’s PowerPack 20000 is that it can double as a USB hub — an especially useful option for users of the newer USB-C MacBooks since it can save you carrying around USB-C to USB-A dongles. 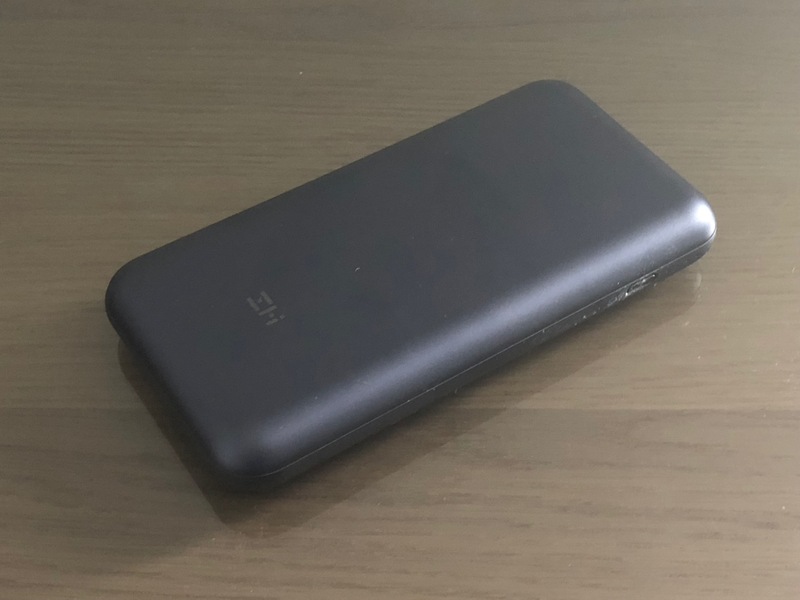 As battery packs go, ZMI’s PowerPack 20000 is definitely impressive, although this is one of these situations where the discrepancy between list and street prices makes it difficult to rate. ZMI’s own web site currently lists it for $55.95, marked down from $149.95, suggesting that it’s a temporary sale, however it can also be found on Amazon for $69.95. At those lower prices, we’d say that it’s a really easy buy, and we’d highly recommend it despite the need to supply your own USB-C adapter and Lightning cables, however it’s a tougher call at the “official” $150 asking price, and since our ratings are based on MSRP, we have to leave this one with merely our general recommendation as something worth considering for users of newer MacBooks and other USB-C laptops, but not necessarily ideal as just an iPhone or iPad power pack.